Fri., April 13, 2018, 5:38 p.m.
NEW YORK – Rockies third baseman Nolan Arenado has been suspended five games for charging the mound after Luis Perdomo threw a pitch behind his back, inciting a benches-clearing brawl during Wednesday’s game against the San Diego Padres. Major League Baseball announced Friday that Perdomo was also suspended five games for intentionally throwing at the All-Star third baseman. 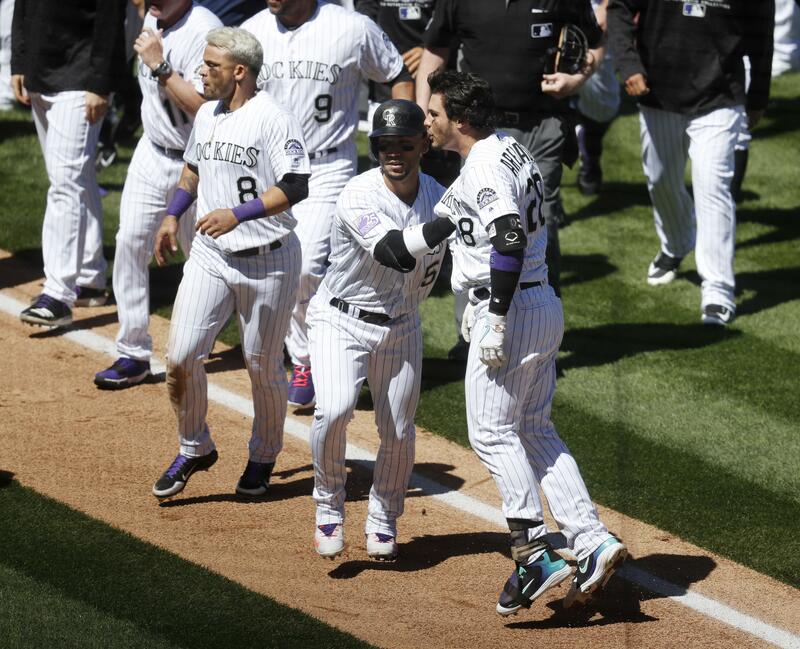 Rockies outfielder Gerardo Parra was suspended four games for fighting. Both Arenado and Parra were in the lineup for Colorado against the Washington Nationals on Friday night. Padres pitcher Buddy Bauman got a one-game suspension for fighting. The suspended players were also fined. Padres catcher A.J. Ellis and infielder Freddy Galvis and Rockies right-hander German Marquez were fined but not suspended. Arenado swung wildly at Perdomo after he reached the mound, but none of his punches landed squarely. The brawl came during a tense series that included three batters being hit by pitches before the benches-clearing incident. San Diego’s Manuel Margot was hit first and ended up on the disabled list. The suspensions were effective Friday, pending appeals by the players. The Padres hosted the San Francisco Giants on Friday night. Published: April 13, 2018, 5:38 p.m.